I often get people asking me if they can use an older Porsche as an everyday car. Before answering yes or no, I chat with the person to see how they will be using the Porsche and what their expectations are. If you’re used to a typical modern car, such as a VW Golf, then you’ll have been spoiled with power-assisted just about everything – steering, brakes, clutch – plus easy gearshifts, lots of safety equipment (airbags, ABS, traction control) and comforts such as climate control and sat-nav. It can, then, be a shock to leave all that behind and get into a car from 30 years ago. As a guide, I wouldn’t recommend a Porsche built before around 1980 as an everyday vehicle – ideally 1990 or younger. In 1980, Porsche was building the 911SC which was soon followed by the very similar Carrera 3.2. These are still great 911s today, but they do lack power steering, ABS brakes, any form of traction control and, in the UK at least, few have air-conditioning. You get a more modern car if you opt for a less pricy 944 or 928 but you’ll still need to compromise. Moving forward to the 1990s, the 911 had evolved into the 964 and then 993, which are much more refined 911s, with the bonuses of power steering, ABS, traction control and airbags, plus by the mid-1990s the UK was waking up to the benefits of air-conditioning (albeit in basic form). The 944 had evolved into the 968 which still feels and looks a modern car today, and the 928 had similarly improved. The great thing about an older Porsche, compared to some other marques, is that the car is capable of everyday use. So long as it’s well maintained, a classic Porsche will start in the mornings, won’t be expensive to run and keep, is surprisingly practical, both in terms of passenger and luggage space, and from the point of view of driving, with good visibility and decent road manners. So the Porsche can cope with being used every day, it’s just whether or not you can cope with using an older Porsche. I really think it is possible to wean yourself off all the cosseting comforts of new cars and, once you do, there’s a lot of fun to be had by driving an older Porsche as your everyday car. Plus, you won’t have to worry about depreciation or the cost of running two vehicles. Some people are concerned about leaving a classic Porsche on the street or in a car park and, it’s true, if you use a car every day, it will get the odd scrape and dent, but nothing that can’t be put right. At the end of the day, cars – and Porsches in particular – are designed to be used and enjoyed. If you can’t bring yourself to forego the delights of climate control and the like, then come forward in time to the late 1990s and beyond. 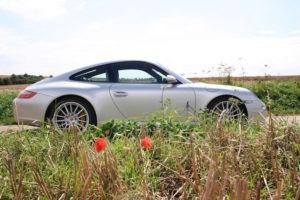 The Porsche 996, Boxster, Cayman and Cayenne can be more affordable than older Porsches but are better equipped, perhaps at the expense of that elusive thing called character. That said, show me a Porsche that doesn’t have character! 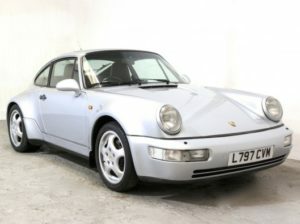 We always have a mix of modern and classic Porsches in stock. Please click to see our current range. PrevPreviousWin a Porsche 911 engine for Christmas!